August 1943 and italy signs an armistice with the allies and abandons nazis germany to it's fate. Lieutenant Marco Polo Formaggio, of the army of Italy in Albania faces death at the hands of partisans and angry germans. Claudia Schiavelli, adventuress and daughter of roman aristocracy is alone and in need of help. A chance meeting leads to an uneasy alliance and their journey of escape begins. 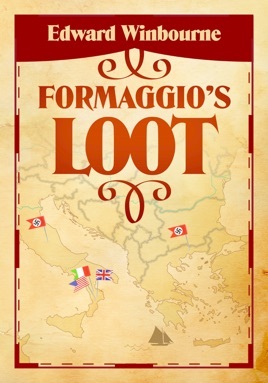 Unable to go directly to Italy they set sail for palestine, where Formaggio can surrender to the british occupation authority, and Claudia can arrange for travel to Italy. Their journey takes them through the eastern Mediterranean, island hopping through some of the most dangerous waters in the world. They find unexpected love, rescue an orphaned jewish girl, and find friendship in unexpected places as well as old and new hatreds played out with modern weapons.